: Pale yellow to radish brown liquid. With Very strong and stimulating characteristic lemon odor. This Wildcrafted Oil that is extracted from lemon grass. It is a tall perennial grass, a genus of about 55 species, native to warm temperate and tropical regions. 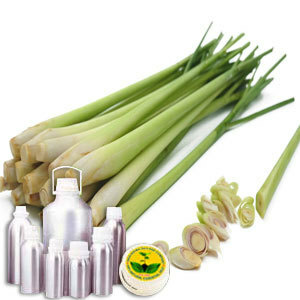 The grass is also known as lemon grass, barbed wire grass, silky heads, citronella grass, fever grass and many others. It mainly consists of myrcene, citronellal, geranyl acetate, nerol, geraniol, neral and traces of limonene and citral. The oil is yellow to amber in color and has a very fresh, citrus-like aroma . It can blend with basil, cedarwood, coriander, geranium, jasmine, lavender and tea tree. This Wildcrafted Oil is mainly used for making teas, soups, and curries.